Q. What is divorce coaching and how does it work? A. Divorce Coaching takes a holistic approach to the divorce process and woven into this approach is the significance of addressing the emotional component. That’s why as a Divorce Coach, my primary focus is to help my clients feel less overwhelmed by addressing the emotional whirlwind which in turn, empowers them to reclaim control and redirect the way forward with clarity and resolve. This then allows us to take a comprehensive and objective look at all the areas impacted by divorce…legal, financial, personal, physical, relationships, career, kids etc., addressing your concerns, needs, and desires in each area, and then help you explore the options that are best for you. So, when you go and engage with your divorce team (attorney, financial consultant, etc), you will show up organized and prepared and not caught up in the emotional story of divorce that only serves to fuel the uncertainty. Instead, you will be clear on what you want and have your emotions in check. You will ask relevant questions, be decisive and have a plan to manage obstacles that might get in the way. As a result, you will be a better partner for your divorce team, giving them clear directive as they work diligently towards your desired outcome. The big win for you is that you take back control of your life and direct the process (instead of abdicating that responsibility to someone else). This in turn will help save you a lot of time and money and minimize unnecessary suffering. It also offers you an opportunity to walk away from this experience with your dignity intact. Q. How exactly can you help me? What services do you provide? A. I can help you prepare for a divorce by explaining the divorce process and creating a plan for next steps. I can streamline the divorce process by offering advice and recommendations for clients’ divorce teams (attorneys, financial advisors, therapists, etc) and give guidance when preparing for court or mediation appointments. I will be there to offer you in-person or virtual support, develop communication strategies, and be a source of support during difficult litigation and the child custody evaluation process. I will also help you to organize and prepare your important documents. As you know, children are one of the most important things to consider during a divorce. I can help develop a parenting plan and give you tools to become an amazing co-parent. Overall, I teach clients to become their own best advocate and develop ways to practice self-love for a bright future. Q. Why do I need a divorce coach? A. It takes a team of divorce professionals to help you through this process. For instance, you’re going to need an attorney, maybe a therapist or mediator, financial consultant, parenting experts, etc. Each of them focuses on a specific aspect of the divorce process. For instance, the attorney’s focus is on the legal execution to ensure that your legal rights are protected in the settlement, the Financial Consultant focuses on making sure you make sound financial decisions, and so on. 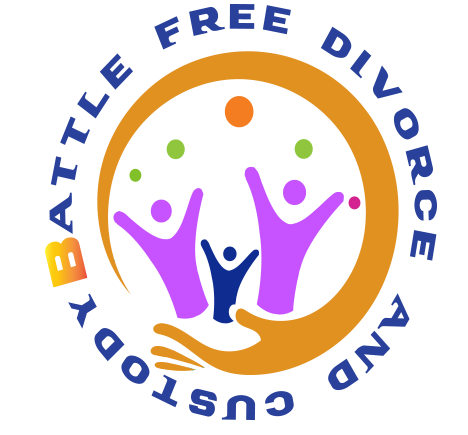 It works much better when you come to these professionals prepared, organized and focused on what we call the “business of divorce” as opposed to being unorganized, unprepared and caught up in the emotional story of divorce. And that’s where Divorce Coaching comes in. I can help you work through your emotions, as well as help you connect with the right divorce attorney, financial consultant, real estate agent, and therapist for your specific needs. Q. What am I going to get out of this- how is this going to impact my life? A. Coaching offers a lot benefits, here is a sample....gain clarity and an empowered way of looking at your life as a whole. A sense of hope, possibility and peace of mind. Clear mindedness and better decision making. It also offers an opportunity to reclaim your life from the divorce chaos, better self control and resiliency. Tools and strategies to help you navigate the conflict dynamics and find your way to a realistic resolution. It also helps you redefine your priorities, values and boundaries. An opportunity to let go of what no longer serve you and redesign the life of your choosing. Last but not least, unwavering support and accountability. Q. What if you don’t live in my area? A. No problem. We can communicate via telephone or Skype. Q. I haven’t started the divorce process yet. At what point should we start working together? A. This is actually the best time to consult with a divorce coach. Divorce is a very complex process. It impacts various aspects of your life such as financials, assets, children, relationships, self identity, wellbeing, etc. Your life as you know it comes up for renegotiation. Because of all these moving parts, it can be a daunting and overwhelming experience. And if you re not well prepared, you can end up making decisions that negatively impact your life (and your children) for years to come. Consulting with a divorce coach at this critical stage is of paramount significance, to help you weigh your options and determine best possible way to go about it. Q. I’m in the middle of a divorce, can coaching still help me? A. Absolutely, especially if you feel stuck and can’t seem to make headway with the negotiations, Or you just need someone to confer with regarding the decisions you have to make. Like I mentioned earlier, divorce is a very complex process, you are always going to need support throughout to make sure you are making the best possible decisions and access to resources that you may need. Q. How are your coaching sessions conducted? A. I offer 1 hour one-on-one coaching sessions conducted via telephone or skype or in person at my location. Depending on your needs, you have a choice between 2 or 3 sessions per month plus life line calls in between the sessions if needed. From time to time, you may have home play (aka homework) assignments to complete as well. A. My specialty is helping parents resolve custody conflicts and work out co-parenting agreements that put the welfare of the children first. Help client build emotional resilience. On a larger scale, I help my client navigate their way to resolution with sanity, clarity, and grace. I Help clients find peace of mind so that way they can move on and rebuild their lives. I also love supporting women to reclaim their own power and create the life of their choosing. Q. What is the difference between a divorce coach and a therapist? A. A Divorce Coach act as a resource for you, providing a database of pre-qualified divorce professionals to help make the selection process effortless. With a Divorce Coach, you get a thinking partner and a sounding board. Someone who champions you and guide you through the process so you never have to go at it alone! Divorce may contribute to certain mental health conditions including depression, anxiety, or other conditions. Some perceive divorce as a personal failure. Therapists can help people work through those feelings and make sense of the divorce in order to gain a new perspective of their needs and dislikes in partnerships. Working with a therapist can arm a person with skills to work through the difficulties of the divorce and gain a deeper knowledge of themselves. Q. What makes you qualified as a divorce coach? A. I know what you are going through, because I have been there. I found myself in a foreign country, unfamiliar with its laws and ways of doing things, no family to lean on, embroiled in a bitter divorce and custody battle with no seeming end in sight. It was that experience and consequently the big realization–that it didn’t have to be that way...which has led me here today. It is these divorce lessons and breakthroughs coupled with the tools and techniques I have acquired from my Divorce Coach training that I bring to my coaching practice. Along with being a Certified Divorce Coach. I am also trained in EFT (Emotional Freedom Technique), Ho’oponopono (a Hawaiian practice of reconciliation and forgiveness) and Reiki (hands-on healing). Above all, I would love to be able to provide you with the invaluable support and guidance that I wish I had during my divorce and custody ordeal.and create the life of their choosing.